It’s Friday, which used to make me jump with joy, but now it’s just another day…sad huh? Anyway, today I made a sign/banner for my booth and I am going to share with you what I did. 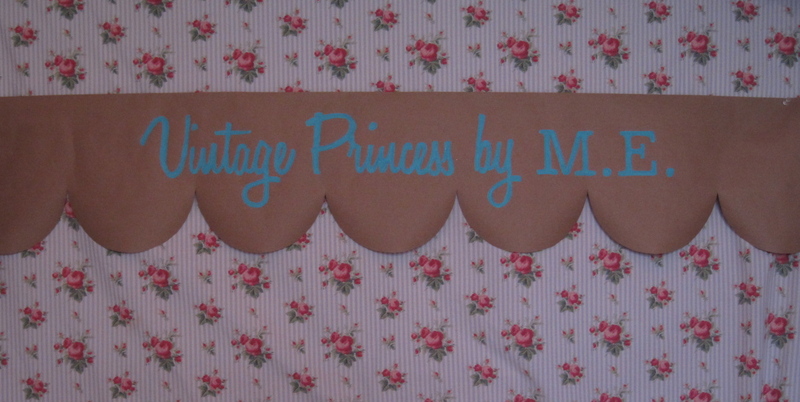 For my banner, I decided to use brown craft paper or mailing paper, I like the color, it’s easy to use and it’s cheap. You can use this method on paper, wood, or canvas, probably other things too, but this is what I have done in the past to very good outcomes. 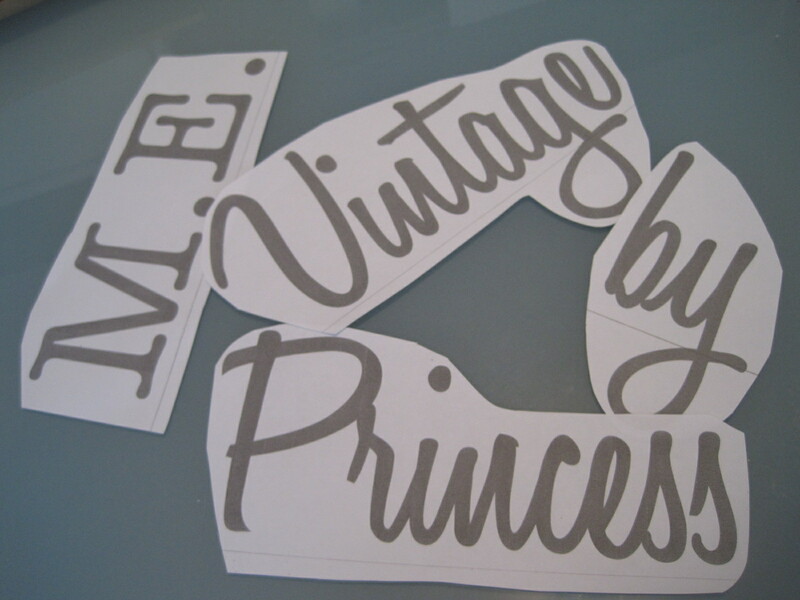 Also, I am sure there are better ways, one is transfer paper, but I don’t like it. The last time I used it, when I started painting it turned into a huge smeared mess. 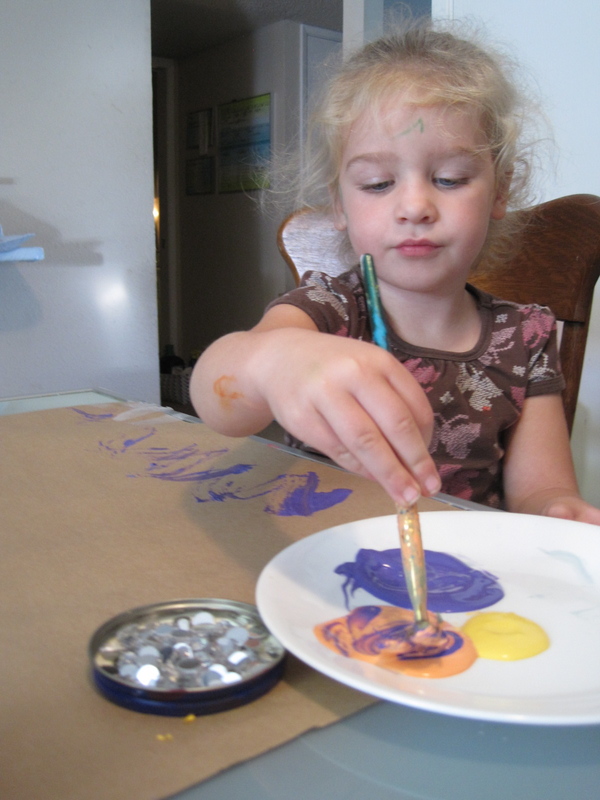 (If you have a kiddo like mine, set them up with paints and crafting paper too. She likes to “work” with me and “help out.” This makes life much easier). Step One: For what ever your message is, print out the words using your computer in a font and size that will fit your project. 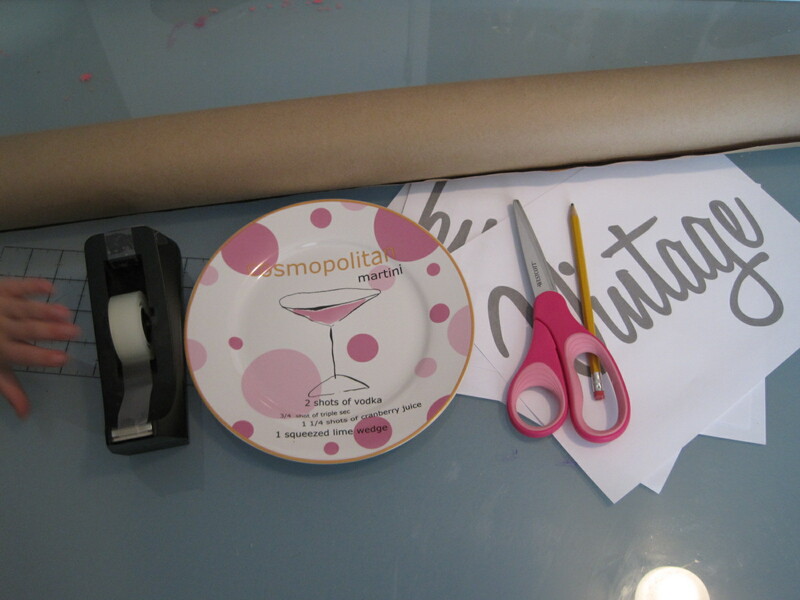 Step Two: Measure how long you want your banner to be out of the crafting paper. I will be using this in my booth, so my banner is 8 feet long. Step Three: Draw a horizontal line along the bottom of all the words. 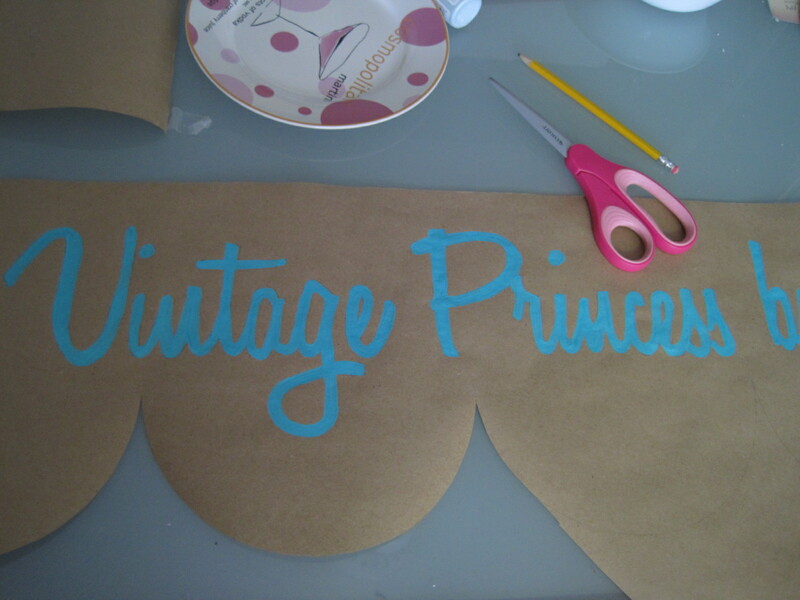 This will help you keep the words straight when lining them up on your banner. Make sure all the lines are the same distance from the word bottom (i.e. I left 1/4″ between word and line). 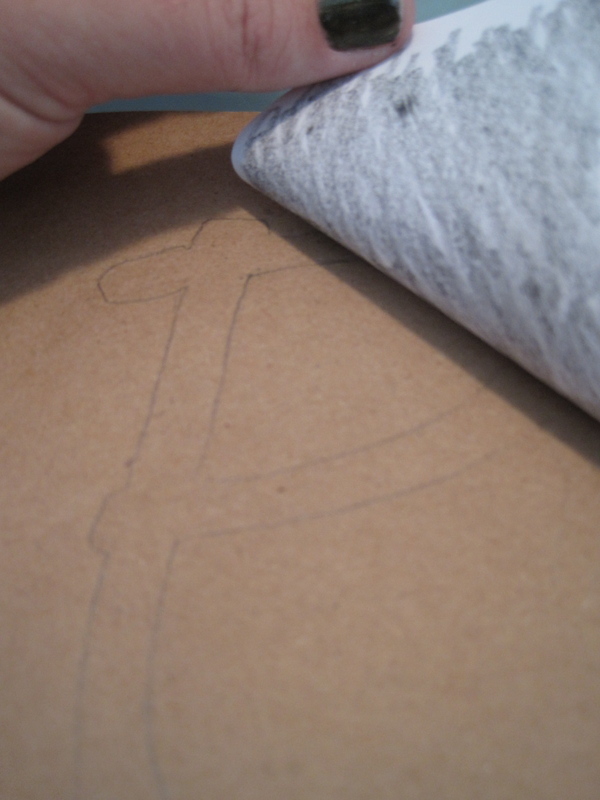 Step Six: Old school transfer time- with a pencil, scribble on the backside of your words. 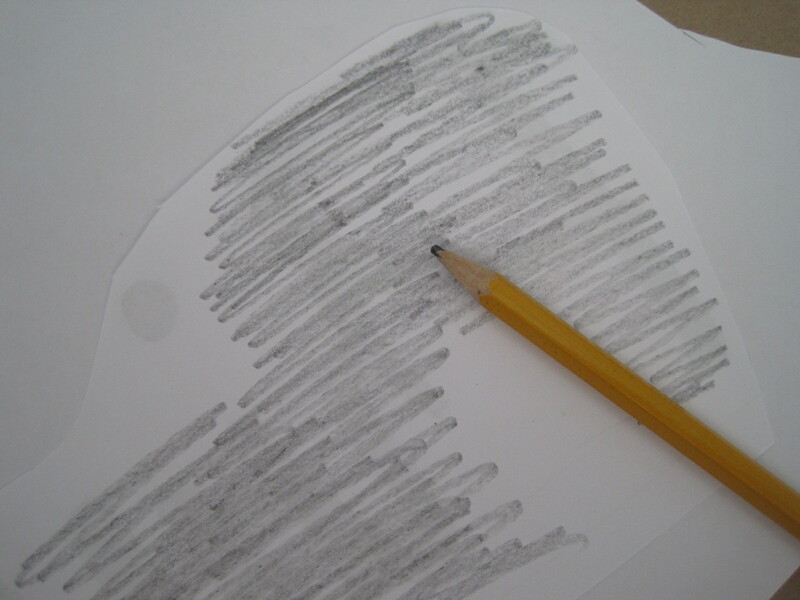 You should be able to see the words through the paper to know where to scribble. 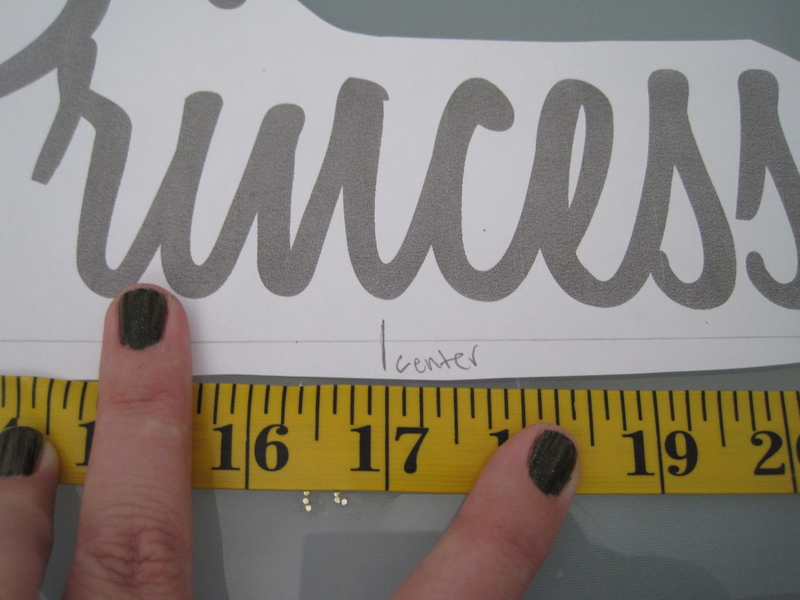 Step Seven: Gently lay your “center” word aligned with the center of the banner into place, measure from top to the line you drew under the word, this is your reference for all other words. Make sure the word is straight, and gently tape it down at the top. 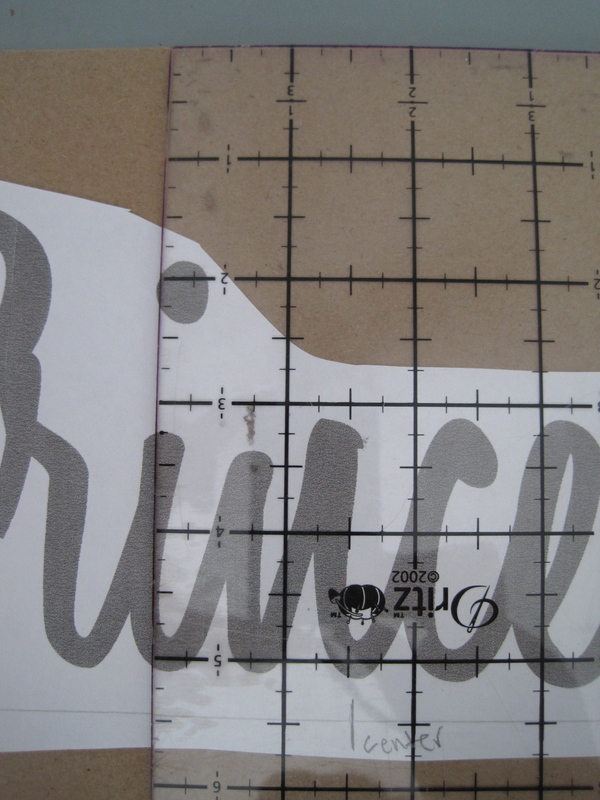 Step Eight: Trace the outlines of all the letters, making sure to push hard with the pencil. Peak to make sure it is working. Repeat using your reference measurement for all the words. 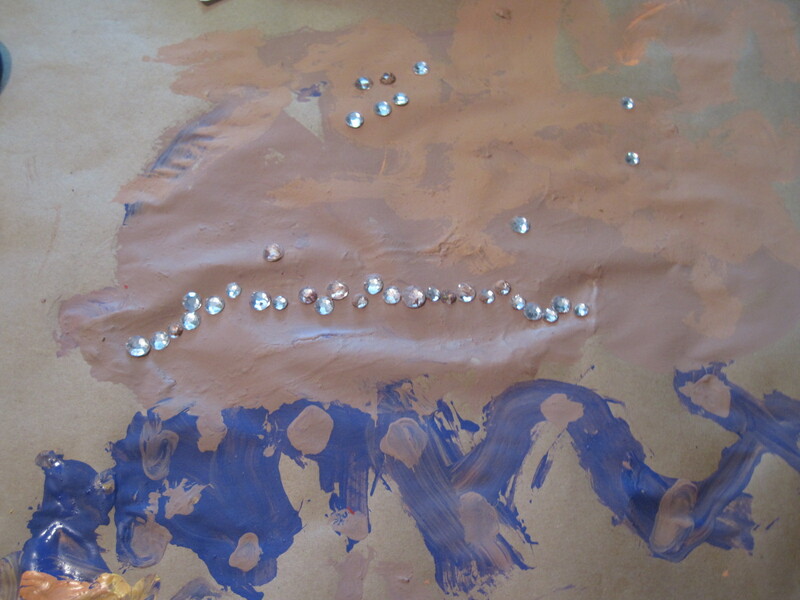 Step Nine: Now that all the words are in place, it’s time to paint. 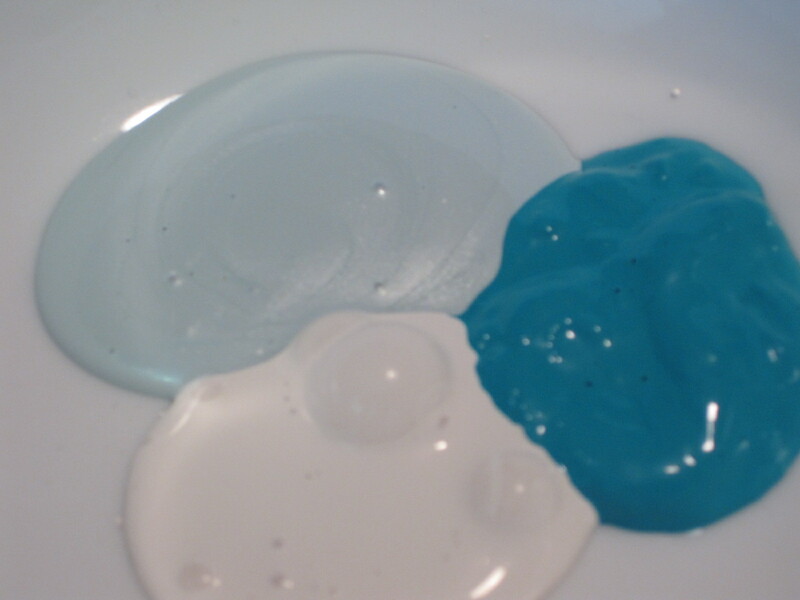 I seem to like to make things not as easy as they should be, so I mixed three colors of paint to get the right hue. When painting, slow and steady wins the race, so patience! 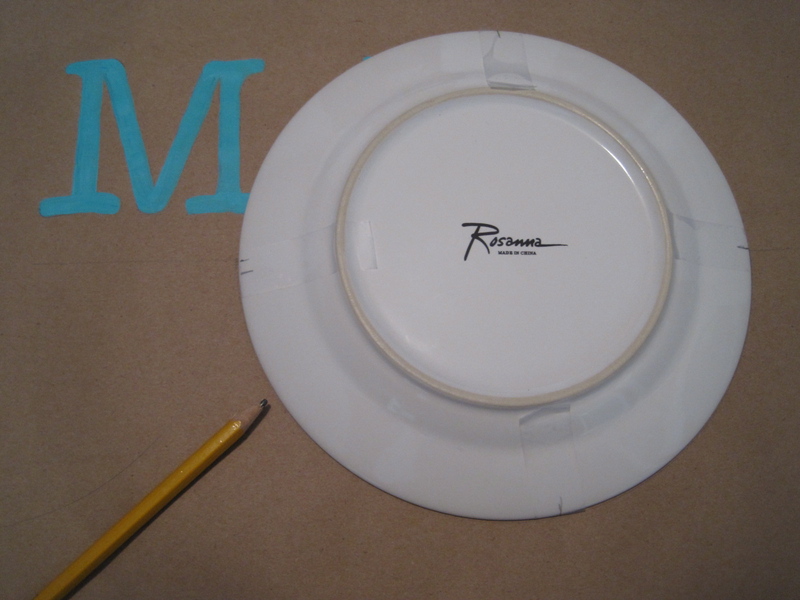 Step Ten: When the paint is dry, mark the backside of your plate, using tape and pencil, the centerlines, (if your plate was a clock, mark 3 and 9). Step Eleven: Mark down from the bottom of your banner where you would like the scallop to start (the point where two scallops meet), set plate onto mark, measure other side to make sure it’s straight, trace around half of plate. Repeat by moving plate to left or right, measuring the one side that hasn’t been measured. Step Twelve: Cut out and you are done! 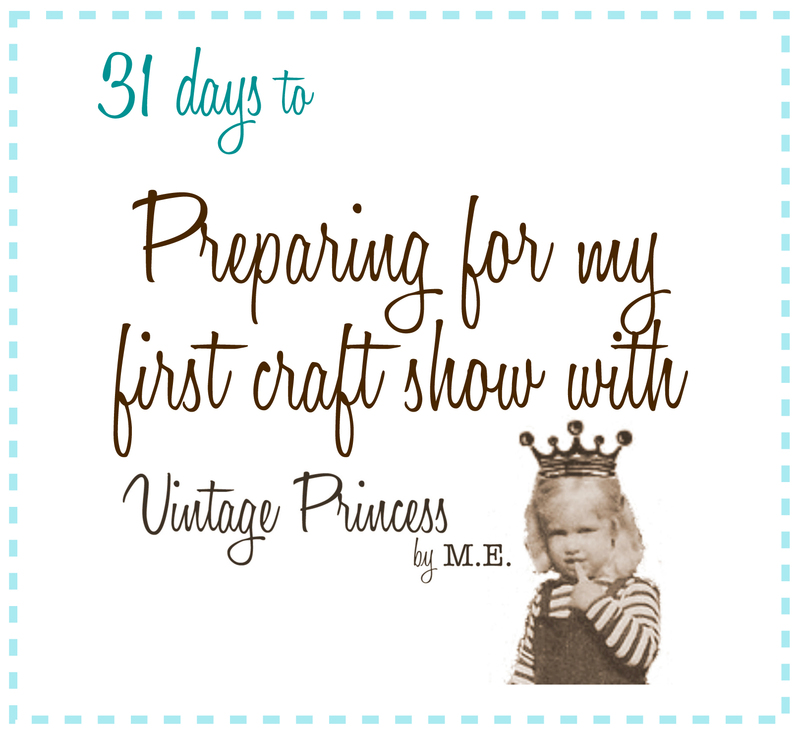 You should click here and ready all 31 days and you should click over there on the right and follow my blog!